The law n° 2016-35 of 25 April 2016 entrusted the Central Bank of Tunisia (BCT) with the mission of supervising banks and financial institutions be them authorized as residents or non-residents and monitoring their activities. Hence, as per law n° 2016-48 of 11 July 2016 related to banks and financial institutions, the BCT sees to the fact that these institutions carry out their activities in conformity with the legal and regulatory provisions into force so as to preserve their financial soundness, protect their depositors and the users of their services. This law has also reinforced the BCT’s power as regards banking oversight by clarifying its control missions, determining banking supervision’s scope and modalities, as well as consolidating the on-site and off-site control process. the soundness of the governance and internal control facility. the efficiency of the risk management system. It can impose more constraining prudential requirements than regulatory prudential rules on relevant institutions with a high-risk financial situation. As for banks and financial institutions of systemic importance, the BCT is empowered to submit them to specific prudential rules, notably at the level of minimal capital requirements. A supplementary control is exerted by the BCT at the level of the conglomerate. This control does not impinge on the supervision conducted by other supervisory authorities. Banking supervision intervenes all over any bank’s and financial institution’s life cycle, ranging from the authorization to exercise activity to the resolution and liquidation process. A licence delivered by the licence commission, upon BCT report, is mandatory for any lending institution to carry out its activity. This commission was instituted as per article 26 of law n° 2016-48. This commission is presided over by the Governor of the BCT and is made up of 4 independent members appointed by the BCT executive board in compliance with the parity principle. The application for licence has to be submitted by the applicant to the BCT. The General Department of Banking Supervision acts as the secretariat of the licence commission and is in charge of examining the licence file and submitting the report to the licence commission. The creation of a bank or a financial institution. Every change that the Bank or the financial institution intends to introduce on the category or nature of the activity which it was authorized to carry out. Every merger or split operation. Every transfer of an important portion of the asset or the liability of a bank or a financial institution which may bring about a substantial change in the financial structure or lead to a change in the category or the nature of the activity which it was authorized to carry out. Every operation to reduce the capital of the bank or the financial institution. As far as these operations are concerned, the licence commission grants a prior licence to the applicant as a first step and a final licence in the second step, taking account of the requirements mentioned in article 27 of the law. A shareholder’s transfer of his stakes which will cause him to lose his status of reference shareholder. Four months with respect to the operations provided for by article 24 of the law for granting a prior licence. The final licence is granted within six months extendible by 3 months starting from the prior licence’s notification date. Two months with respect to the operations provided for by articles 34 and 35 of the law. no later than one month starting from the application’s reception date for operations provided for by article 24 of the law. no later than two weeks starting from the application’s reception date for the operations provided for by articles 34 and 35 of the law. 3 months for the operations provided for by article 24 of the law. 2 months for the operations provided for by articles 34 and 35 of the law. 50,000,000 dinars for resident banks or their counter-value in convertible foreign currency, upon subscription, for non-resident banks. Non-use, by the applicant, of the granted licence within a maximum period of 6 months starting from its notification date. Following opening of a liquidation process. The BCT enacts the management rules and prudential norms applicable to banks and financial institutions. (BCT Circular to lending institutions n°91-24 of 17 December 1991 related to risk division and coverage and follow up of commitments). The use of core funds. Ratios between core funds and liabilities. Financing granted by lending institutions to their subsidiaries. Banks and financial institutions must constitute general provisions, by means of deductions from provisions’ results, called «collective provisions» to cover latent risks on current commitments and commitments requiring a particular follow up (category 1). These collective provisions are part of the supplementary core funds within the scope of 1.25% of incurred risks. Banks and financial institutions must not allow themselves to take back already-constituted provisions on non-performing assets by recourse to real estate guarantees. 100% for assets with a seniority in class 4 of 8 years or more. A report on the compliance with prudential rules has to be submitted to the BCT by banks and financial institutions, annexed to the accounting situation set at the end of each quarter no later than 45 days after closure of the accounting statement. Every infringement with regard to anyone of these norms is added with a 300% weighting to total incurred risks for the calculation of the solvency ratio. A table of financial sanctions is provided for in Appendix II of circular n°91-24 in case of infringement of risk division and concentration rules and shortage compared to the regulatory solvency ratio. The fine set against the bank or the lending institution is doubled in case of recidivism. Pursuant to the provisions of article 2 of circular to banks n° 2001-12 of 4 May 2001, banks are entitled to require an external audit report for the follow up of their financing to businesses the incurred risks of which exceed 10% of their core funds. whose liabilities from the financial system exceed 5 million dinars, the financial statements of the fiscal year that precedes the year when the loan was granted, as well as the financial statements of the fiscal years following the year when the loan was granted, certified by a legally habilitated auditor. who are not listed on the stock exchange market and whose liabilities from the financial system exceed 25 million dinars, to provide a recent rating delivered by a rating agency. 100% starting from 1st January 2019. The said ratio is calculated by the parity between the outstanding balance of liquid assets and total net cash outflows over the following 30 calendar days. Liquidity ratio = Liquid assets/Total net treasury outflows over the 30 following calendar days. Only off-balance sheet assets, liabilities and commitments in dinar are taken into account in calculating this ratio. The goal of prudential oversight is to watch over the banking system’s soundness and the protection of its depositors and service users, by means of the migration, since 2016, from a compliance supervision limited to the control of banks’ and financial institutions’ compliance with legal and regulatory requirements, towards a risk-based oversight. Risk-based oversight rests on an assessment of the adequacy of governance, internal control and risk management facilities. This allows for a prior identification of problems and vulnerabilities and for a preventive and fast intervention by taking corrective or repressive measures. The prudential oversight process is applicable to all authorized banks and all financial institutions authorized within the framework of law n°2016-48 of 11 July 2016. The scope and frequency of this process application are adjusted according to the size, the risk profile and the specificities of banks and financial institutions. Prudential oversight which is conducted on an individual basis will take a consolidated dimension shortly. A periodical reporting (monthly, quarterly and annual). Regular and structured exchanges with correspondents in banks and financial institutions so as to determine the risk profile of these institutions and the risk measurement and management systems. 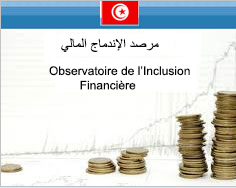 The Tunisian rating system of banks and financial institutions « SYNTEC ». Indicators of banks’ and financial institutions’ positioning « IPEC » which consist in a battery of indicators on trends in the situation of each bank or financial situation, compared to the one of the sector that makes a benchmark available to them so as to be positioned compared to the whole sector. Permanent control is completed by the conduct of on-site control missions whether thematic or general. Inspection missions aim at making an on-site assessment of the nature and quality of risks incurred by banks and financial institutions and gauge their capacity to face up to them. They help thus, to examine the adequacy between the institution’s internal organization and the nature of its activities and risks and evaluate their control and risk-monitoring facilities. The on-site control mission conduct chart defines the modalities of on-site control mission conduct, the means allocated to them, the rights and duties of both the auditors and the controlled institutions. Good governance rules instituted by law n° 2016-48 of 11 July 2016 aim at establishing a sound and cautious management which guarantees the everlastingness of banks and financial institutions and preserves depositors’, lenders’, and shareholders’ interests. guarantee a balance between the powers and missions of the Executive Board or the Oversight Board, and the ones of the general department or directorate while bestowing more independence upon structures reporting to the risk branch. Rehabilitating the executive board or the oversight board by repositioning its attributions around the definition of the general department’s strategy and oversight, introducing more rigorous criteria for the appointment of administrators while requiring the appointment of independent administrators and administrators representing the interests of minority shareholders. Establishing, within the monist governance mode, the rule of separation between the functions of the chairman of the executive board and the general manager’s ones. An audit committee which assists the board in establishing a sound internal control facility. An appointment and remuneration committee notably in charge of the conception and follow up of the appointment, remuneration and management of internal conflict situations policy. A committee to control the compliance with Islamic banking norms for banks and financial institutions carrying out Islamic banking operations. Conferring more transparency upon the management of a bank or a financial institution by adopting more rigorous rules as regards interest conflict management and a communication policy dedicated to the public by dispatching trustworthy and pertinent information on governance structures, risk management and the appointment and remuneration policy. Banks and financial institutions are required to set up independent internal audit, risk management and compliance control functions. The permanent compliance control structure is notably in charge of determining and assessing risks of non-compliance with laws and regulations into force, with the best practices and rules of the sound operating of the profession. (BCT Circular to lending institutions n°2006-06 of 24 July 2006). CTAF decision n° 2017-01 of 2 March 2017 regarding directives related to the reporting of suspicious operations and transactions. CTAF decision n°2017-02 of 2 March 2017 regarding key directives to financial professions on the detection and reporting of suspicious operations and transactions. CTAF decision n° 2017-03 of 2 March 2017 related to effective beneficiaries. The BCT published circular n°2017-08 related to the establishment of internal control rules to manage the money laundering and financing terrorism risk which abrogated circular n°2013-15 of 7 November 2013. Adopting a risk-based approach, helping to adapt the watchfulness facility to the risk profile. Involving governance structures and support committees in the effective follow up of the established facility. Introducing new requirements as regards the reinforcement of the internal control facility both on the logistical and procedural levels, helping to prevent against the money laundering risk. Submitting clients to a permanent general watchfulness alongside the business relationship. Easing up identification diligences for clients subject to a supervisory authority and economic entities with their capital being held by the State up to 50% at least. Boosting external audit and requiring a reporting to the BCT. The annual accounts of banks and financial institutions making a public call for savings are subject to the certification of two auditors enrolled in Tunisia’s order of chartered accountants. The annual accounts of financial institutions not making a public call for savings are submitted to the certification of an auditor enrolled in Tunisia’s order of chartered accountants. A month at least prior to the general assembly’s approval, banks and financial institutions are required to inform the BCT about the identity of the chartered accountant/accountants that they intend to appoint. The silence of the BCT after the expiry of a one-month deadline starting from the appointment’s notification date is tantamount to acceptance. In case of objection, the BCT’s decision has to be justified. The BCT is endowed with a repressive power with regard to banks and financial institutions that it shares with the sanction committee for the purpose of sanctioning breaches committed by the said institutions and their leaders, as per the banking regulation into force. The repressive sanctions which are relevant to the Governor of the BCT’s field of expertise. The repressive sanctions which are relevant to the sanctions committee’s field of expertise. 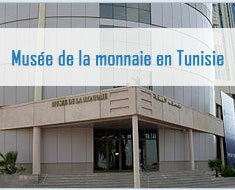 Sanctions that are relevant to the Governor of Central Bank of Tunisia’s field of expertise. The Governor of the BCT is endowed with a disciplinary power that entitles them to impose sanctions of the first level in case the bank or the financial institution is found guilty of one of the said infringements as per article 169 of law n°2016-48. a fine, the amount of which does not exceed 15% of the minimum capital of the bank or financial institution involved. The amount of the fine is collected for the Treasury. The new law instituted the sanctions committee as a disciplinary authority endowed with the functions of proceedings against banks and financial institutions that commit one of the infringements mentioned in article 172. The sanctions committee is presided over by a judge of the 3rd rank and is made up of a judge of the 2nd rank, a representative of the BCT, an independent expert in the banking and financial field appointed upon proposal of the Tunisian Professional Association of Banks and Financial Institutions and a chartered accountant appointed upon proposal of the control commission reporting to the order of chartered accountants. a fine, the amount of which does not exceed 25% of the bank’s or financial institution’s minimum capital, according to its category, without the amount of the fine being lower than two million dinars. or banning certain operations and any other forms of limitations in carrying out its activity. or the withdrawal of the authorization. The sanctions commission can put an end to the missions of the members of the executive board, the oversight board, the directorate, as well as the general department, senior managers and proxies having committed infringements of the banking legislation and regulation, or having approved of it or turn out be accomplices of it. he was appointed upon false information. he fails to carry out the duties that devolve to him. Sanctions applied by the Governor and by the sanctions commission are published on the BCT website and in Banking Supervision’s annual reports. Make payment means and payment service means available to clients. Carrying out Islamic banking operations as a specialisation depends on granting an authorization by the licence committee. However, « conventional» banks can make practice of these operations upon BCT authorization. Rent movable or immovable equipment to any economic operator for professional use. This operator can acquire it for a residual value at the end of the contract. Granting of Islamic financing « Ijara », as a specialization, is subject to an authorization granted by the licence committee. However «conventional» leasing institutions can be involved in carrying out these operations upon BCT authorization. Ensure the collection of these claims on its behalf. Offer consulting and assistance services as regards financial management and financial engineering. Offer services intended to facilitate the creation, development and restructuring of businesses (including shareholdings with a retrocession commitment not exceeding 5 years). Grant bridge loans not exceeding one year in line with financial engineering operations. Receive residents’ deposits in dinar within certain legal limits (article 77 of law n°2016-48). Grant financing to residents within certain limits. Carrying out Islamic banking operations as a specialization is subject to an authorization granted by the licence committee. However, « conventional » banks can be involved in carrying out these operations upon BCT authorization. For bureaux representing foreign banks open in Tunisia. Representing establishments in Tunisia, notably financial and banking ones, the head office of which is abroad providing that this representation does not lead to getting any direct or indirect remuneration and that the ensuing expenditure is totally covered by assets in foreign currency from abroad. The banking law has instituted a Bank Deposit Guarantee Fund in the form of a public establishment endowed with legal personality and financial and administrative autonomy. 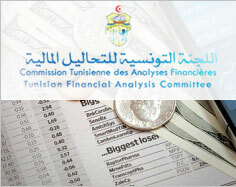 Its capital is worth 5 million dinars held equally by the State and the Central Bank of Tunisia. The Bank Deposit Guarantee Fund aims mainly at protecting depositors by reimbursing them in case their deposits are unavailable. In order to contribute to financial stability, the fund can intervene in a preventive way and according to rigorous conditions, in the resolution process of a bank into difficulty. a shareholding in the capital of a bridge institution. Adherence to the Bank Deposit Guarantee Fund is obligatory for all banks. The Bank Deposit Guarantee Fund’s intervention, organization and operating rules and the adherence and depositors’ reimbursement conditions are set by government decree n°2017-268 of 1st February 2017. The banking law instituted a harmonized and gradual framework for the recovery and rescue of banks going through difficulties inspired from international best practices allowing for a harmonious management of the different phases, in keeping with financial stability preservation, ensuring the continuity of systemic activities and services, protecting depositors and avoiding the recourse to tax papers’ money to the utmost. This intervention is part of the normal extension of banking supervision’s action. The BCT is vested with an early intervention power authorizing it to react to financial or managing difficulties as soon as they appear and tackle problems before they become serious. In this phase, it is up to the relevant bank or financial institution to suggest an action plan to solve its problems. The measures to be taken and the schedule of their establishment have to be submitted within one month to the BCT. The detection, by the BCT, of early signs which threaten the institution’s everlastingness urges it to intervene early for the recovery of the bank or the financial institution into question. In such a case, it conveys to the concerned institution an injunction for the purpose of establishing a recovery plan. This injunction devolves also to the reference shareholder and to main shareholders with a view to providing the bank or the financial institution with the necessary support in case the BCT requires it. The Governor of the BCT can appoint a temporary administrator to ensure the current management of the institution going through difficulty and to execute the recovery plan. The temporary administrator can, following BCT agreement, request from the judge to suspend the general assembly’s works, if he finds out that shareholders are hampering the achievement of the recovery plan. The suspended action is presented, in a summary procedure, to the corresponding judge. The administrator submits a periodical report to the BCT concerning the institution’s recovery process. He can suggest to the BCT the opening of the resolution or liquidation process if the institution’s situation justifies it. Avoiding the recourse to the State’s financial support to the maximum. Banking resolution falls within the competence of the resolution commission instituted by law n°2016-48. This commission is presided over by the Governor of the BCT and made up of a representative of the ministry of finance, a magistrate of the 3rd rank, the general manager of the Bank Deposit Guarantee Fund and the chairman of the Capital Market. The internal regulation of this commission is defined by decree n°2017-189 of 1st February 2017. The commission can, upon BCT report stating the precarious situation, subdue a bank or a financial institution to a resolution plan which will be executed by a delegate for the resolution. This phase assumes that the justice is in charge of liquidation files in case it turns out that the situation of a bank or a financial institution is definitely precarious and is reported as being in a state of suspension of payments. The liquidation decision is pronounced by the court upon report of the resolution commission. This decision leads to the systematic withdrawal of the authorization. A liquidator appointed by the court upon proposal of the resolution commission is in charge of the liquidation operation. N° 91-24 RELATED TO RISK DIVISION AND COVERAGE AND FOLLOW UP OF COMMITMENTS.